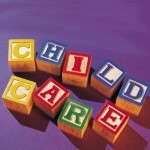 The Childcare Recruitment Consultancy is a division of The Childcare Recruitment Company Ltd. The best advice we can give you is that there is no one perfect solution. Your friends, family and colleagues will offer you the benefit of their own childcare experiences and advice, however they are not you and their needs will be different. At CRC we understand that sorting out the right childcare is very important, please remember that there are no right or wrong decisions but there are best fit solutions. One thing we do understand is that most people’s childcare needs are transient, as your children grow and multiply your childcare requirements will change, and what works for you when they are babies may not be what you need when they are pre-school age or beyond. We listen to your needs, concerns and potential issues and advise you what are the best childcare options for your specific family circumstances at any given time. We offer our clients a one to one virtual consultation, lasting up to one hour, at a mutually convenient time, by Skype, FaceTime or on the telephone. Through asking a series of pertinent questions we will then offer you unbiased advice on the best solution or range of options available for you and your family, based on a variety of factors including: the size of your family, the ages of your children, where you live, your lifestyle and / or working pattern and your budget.ill get to know and understand your specific circumstances and your requirements in detail. 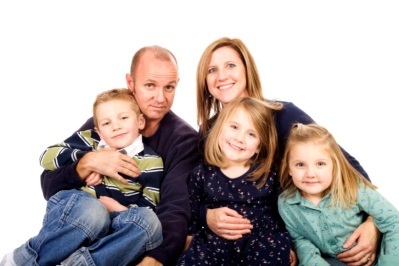 We divide childcare into two key areas: Home Based and External Setting and within this framework we will discuss with you, as appropriate, the whole spectrum of options within both fields, including a combination of both home based and external childcare support. We offer you an insight into the world of nannies and the option of becoming an employer, we talk to you about using maternity and night nurses, we offer advice when considering using the option of a nursery or a child-minder and what a parent needs to consider when choosing one. 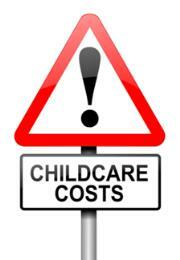 We also explain the differences between different types of childcare support, e.g. between a nanny, mother’s help, child-minder and an au pair. We will advise you on the pros and cons of different types of nurseries, child minders, Schools, nannies, au pairs, maternity & night nurses, mother’s helps, nanny/housekeepers, after school care, tutors & anything else you may need. As part of the service we can also talk to you about what childcare funding may be available to you, including funding for 3 year olds and what types of childcare you would be able to use childcare vouchers for. The charge for this service is £125.00 + VAT and payment is made prior to the consultation. 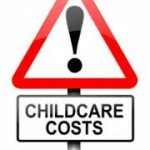 If you decide to employ home based childcare, rather than having the aggravation of doing the wage slips and PAYE yourself, we can introduce you to the competitive payroll service; Nannytax. As well as a payroll service, they also offer clients free advice and support, information on pensions, free legal advice, as well as personalised contracts of employment for your staff. Our other Divisions….let us help you. 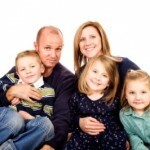 If you decide to go for home based childcare or decide on a combination of nursery/ school and home childcare care routes, through our nationwide agency divisions we would be delighted to help you and would be able to provide a head hunter service that would enable you to recruit the perfect solution to your needs. Harris Recruitment (incorporating North West Childcare) is our childcare division, providing nannies, maternity nurses, night maternity nannies and after school care, whilst one of our other divisions, The Housekeeper Company provides nanny/ housekeepers, mother’s helps, housekeepers, cooks, cleaners and any other help you might need in your home. If you decide to use our recruitment services and we find someone that you decide to employ, we will be happy to deduct the £125.00 consultation fee from our recruitment invoice.